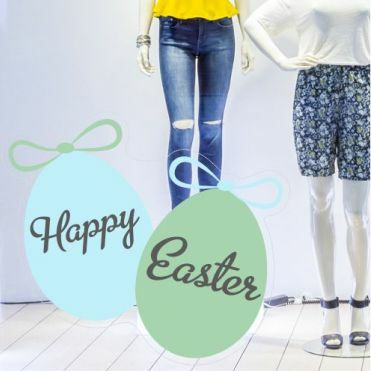 Our egg shaped sticker designs are ideal for Easter themed shop window displays. The stickers can be ordered in a size of your choice, or when applicable as a pack of 5 stickers. Easy to apply and when ordered in static-cling easy to remove and re-usable. Egg stickers in a size and colourway of your choice. 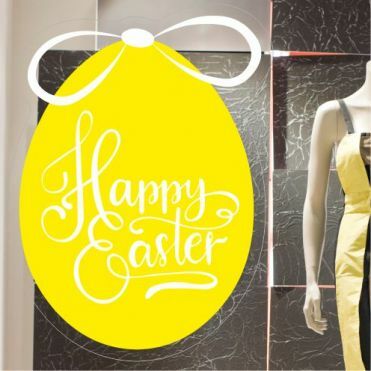 Easter themed egg designs in a size of your choice. Designs available in a size and colourway of your choice. 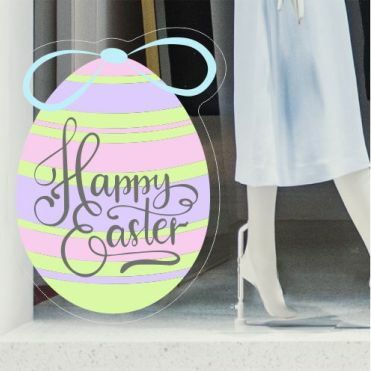 Easter egg shop window stickers ideal for retail outlets.